I guess my perpetual love for easy dresses is a public secret. There is something magical about dresses which my heart indulges. Rarely do I miss a chance to purchase a new dress, because the way I see it, shoes are not the only thing girls can never have enough of, dresses are too! My most recent treasure is an LWD from Sammydress. Pretty neckline details. Sammydress has a variety of fashion pieces which mostly are affordable. 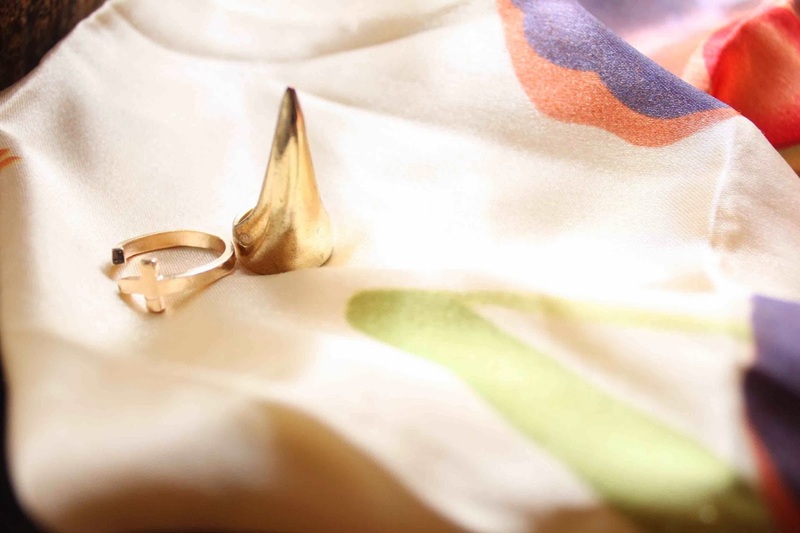 The cross ring I wore here is from Sammydress as well! Don't you love it when you can find everything you need or wanna purchase in one place? Things have been crazy busy the past weeks I could barely open my eyes long enough to stay on the computer doing my other work. So I'll keep it short this time and maybe talk more on Instagram instead - enjoy! That dress is so pretty ! Love the look ! The cutouts of your dress are so awesome and I love the detail shot of your rings. So gorgeous! Oh my word. You're perfect. I love the lovely white lace dress and the shoes are sooo pretty! Also you are gorgeous and have awesome hair! I want that white dress! 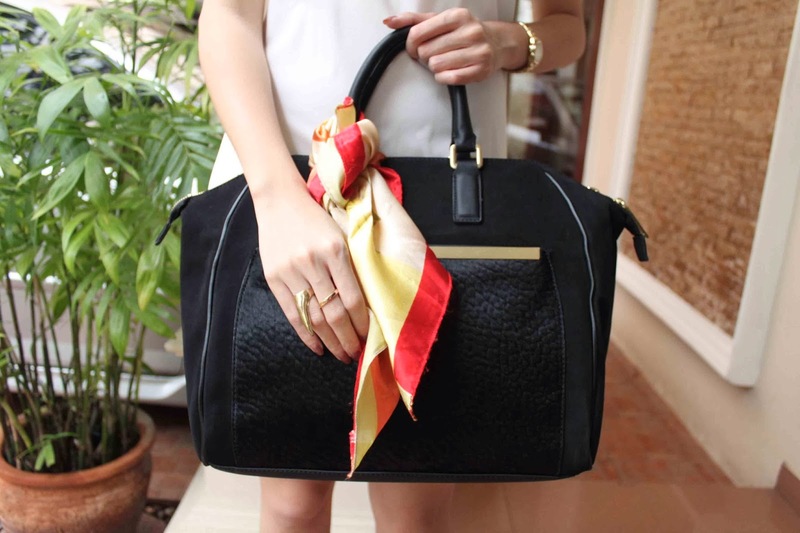 Lovely dress..looks so comfortable and fresh, love the scarf on the bag. I love your dress and your shoes..
what a cute dress, I love the bag. Beauutiful dress!! Cute rings anddd you got amazing hair (like those in salon commercials)! Love your cutout dress, and you look so beautiful! I really enjoy your blog so far and would love to follow each other--please join my GFC and I'll follow you right back! Gorgeous cut outs in the dress! that's a pretty white dress and you look beautiful.. visit my blog if you have time.. cheers!!! You look so pretty. Love that beautiful dress! waaa~ the outfit is perfect! I love the cutout of the dress, and the bag is so sleek and chic! I love your dress! this is such a pretty look! Cute dress! The scarf was a nice way to liven up the outfit with a splash of colour! nice outfit dear <3 like Sammydress! Oh my gosh I have this dress from Sammydress aswell! You look better in it than I do though!